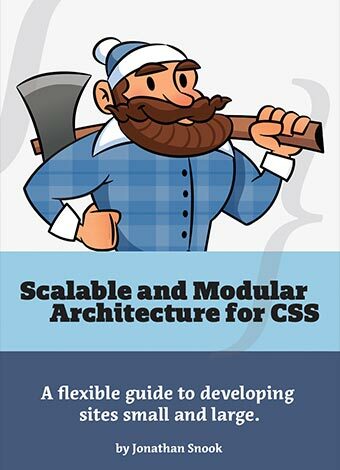 SMACSS (pronounced “smacks”) is more style guide than rigid framework. There is no library within here for you to download or install. SMACSS is a way to examine your design process and as a way to fit those rigid frameworks into a flexible thought process. It is an attempt to document a consistent approach to site development when using CSS. And really, who isn’t building a site with CSS these days?! NOTE: This eBook version does not include the premium access SMACSS content, however does include a 50% off coupon to purchase the premium content from the SMACSS site. Note: The back of the book has a coupon for 50% off other services Jonathan Snook offers!